The Weekly DISCUSSION for aged care staff, written and produced by the experts of DCM Media. Over the next 12 months, more than 150 witnesses will appear before the Royal Commission and a multitude of important cornerstone issues will be canvassed – all of which may impact your business. The Daily COMMISSION newsletter will be unrivalled in keeping you informed of each development, twist and implication. DCM Media editor, Lauren Broomham, will attend every session in Adelaide and across the country to give you an on the spot summary at 6 AM Tuesday to Saturday. Joining Lauren in assessment of the issues raised will be Judy Martin, a 30 year aged care veteran and international expert, and Jill Donaldson, with 15 years on the floor aged care experience. Leading commentators will also be canvassed as the Royal Commission seeks forward-looking initiatives for the sector. The Daily COMMISSION: $1500 / 250 issues / 12 months. (One subscription per organisation. You can distribute the newsletter to colleagues yourself or we can to your specified list on request). The Royal Commission will also impact all the people who work in the aged care sector – what we think about the work we do, our discussions with our family and friends, potential criticism in the media and understanding why changes may be required in the workplace. The Weekly DISCUSSION newsletter will give a balanced understanding of the Commission inquiry beyond potentially sensational media coverage. In simple language, it will report accurately the themes, events and possible outcomes to keep carers and support staff independently informed. 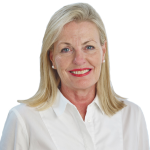 Led by Jill Donaldson, The Weekly DISCUSSION will frame the Royal Commission from the workforce perspective, a balancing voice of understanding and forward thinking. The Weekly DISCUSSION: $250 / 50 issues / 12 months. Note: we encourage you to distribute The Weekly DISCUSSION to all your employees each Thursday. If you wish us to manage the distribution at no charge simply email your request. Recipients can unsubscribe whenever they wish. We strongly encourage you to distribute The Weekly DISCUSSION to your staff wherever they are located, so they can share the Royal Commission objectively with their local communities. Please join us across The Daily COMMISSION and The Weekly DISCUSSION, to build an informed narrative about the Royal Commission and the future of aged care Australia. Subscribe using form to the right. An invoice will be emailed separately. * We will contact you by phone or email to complete your subscriptions for the Royal Commission into Aged Care. I'd like to receive The Daily COMMISSION newsletter for a one off payment of $1,500 + GST which includes receiving The Weekly DISCUSSION newsletter at no additional cost. I'd like just The Weekly DISCUSSION newsletter for a one off payment of $250 + GST.